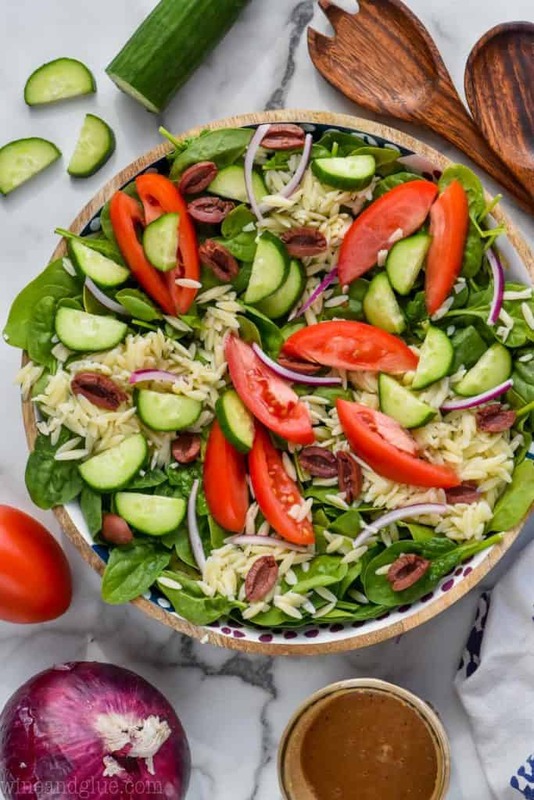 This Greek Orzo Pasta Salad is loaded with amazing vegetables and topped with a creamy balsamic dressing. It is simple to make but so delicious! 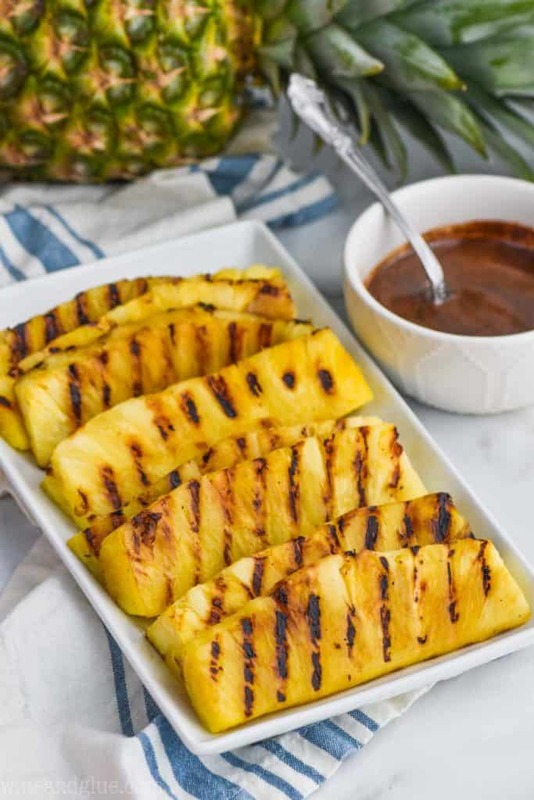 It makes a nice big batch, so it is perfect to bring to a picnic or BBQ! 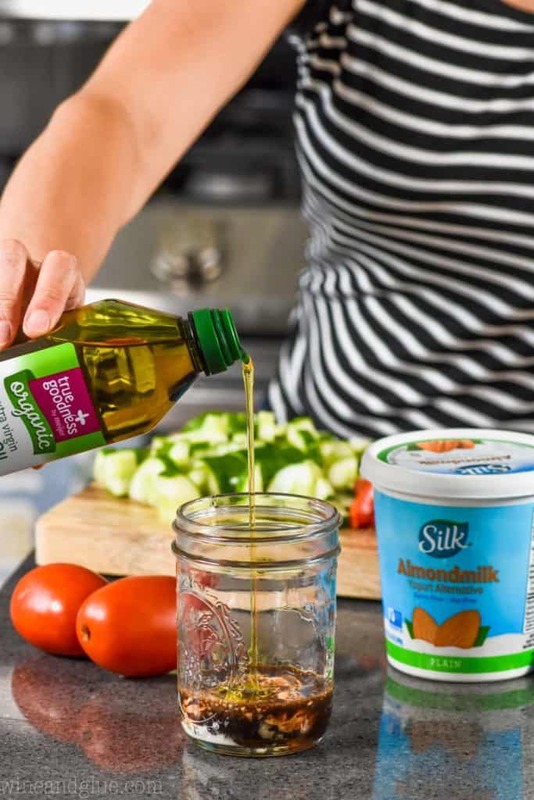 I’m so excited to be partnering with Silk and Earthbound Organic in collaboration with Meijer to bring you this amazing and easy salad recipe. As always, all opinions are my own. Happy Monday, friends! Are you guys surviving the heat? It has been so insanely hot near us. Once again we skipped spring and I’m trying really hard to focus on not melting rather than my resentment about missing normal temperatures. I’m doing my best to make meals that are nice and cool and don’t leave us crying because we are putting hot bites of food in our melting bodies. For me that means tons and tons and then more tons of salads! I love making myself a ginormous salad, like my Strawberry Spinach Salad, for lunch! 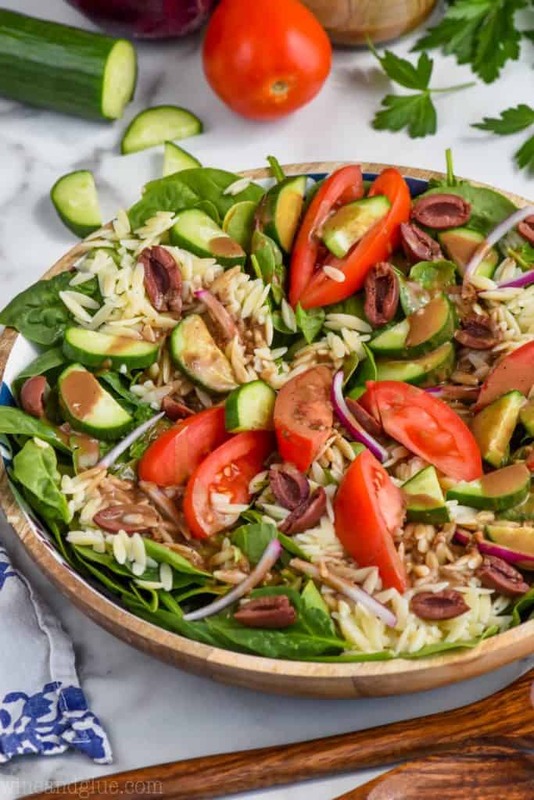 My newest favorite salad is this amazing Greek Orzo Pasta Salad with it’s Creamy Balsamic Dressing. 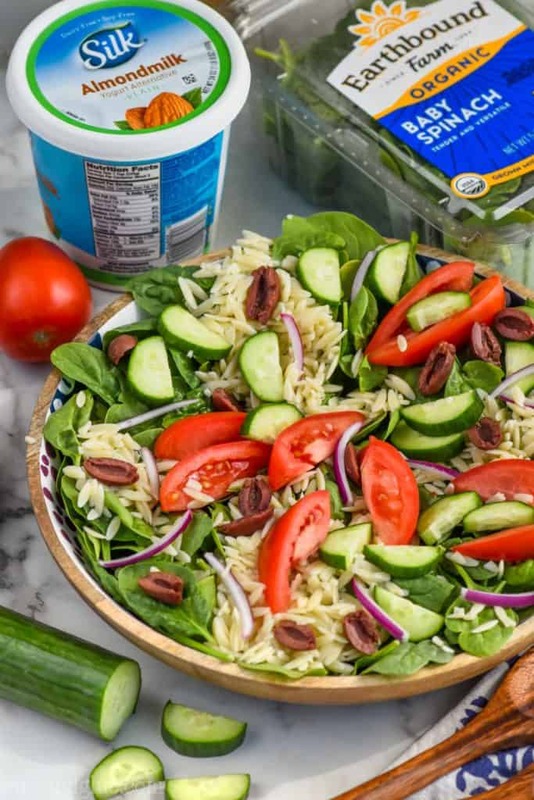 WHAT IS IN A GREEK ORZO PASTA SALAD? 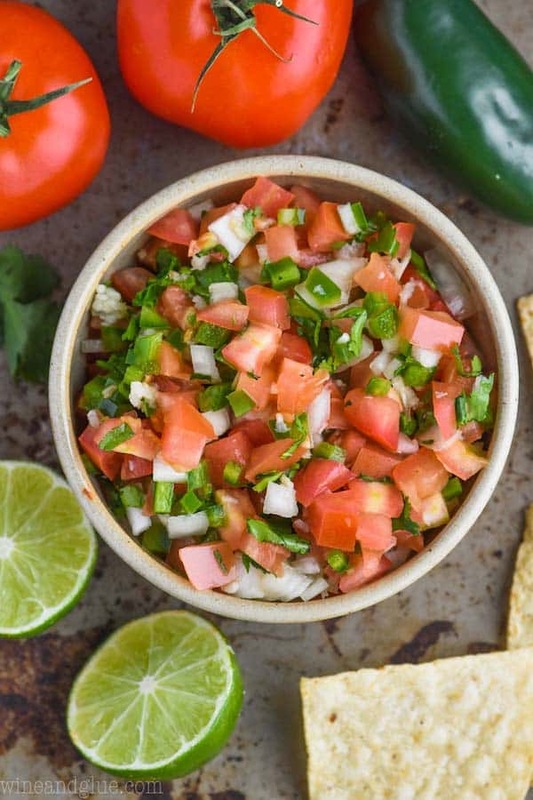 For this recipe I stuck to really simple and easy to find ingredients. This salad is so fast, it seriously all comes together in about 20 minutes. The base is Earthbound Farm Organic Baby Spinach. Then you layer it with some cooked orzo. While your orzo is cooking, you chop up some roma tomatoes. Add in some sliced kalamata olives. Finally add just a little bit of red onion. This salad gets topped with a delicious Creamy Balsamic Dressing that I made vegan using Silk Yogurt. Years and years (and YEARS) ago when I was trying to get pregnant, I discovered that my body doesn’t love dairy. In fact, it wasn’t until I cut dairy out of my diet completely that I was able to get pregnant with Gavin. The same was true when we tried to get pregnant with Elliot and with Quinn. Going dairy free is made a whole lot easier now than it was 13 years ago because fantastic companies like Silk and So Delicious have put so many great dairy alternatives on the market. Silk makes a ton of amazing vegan products. I especially love their plain almond milk yogurt alternative. 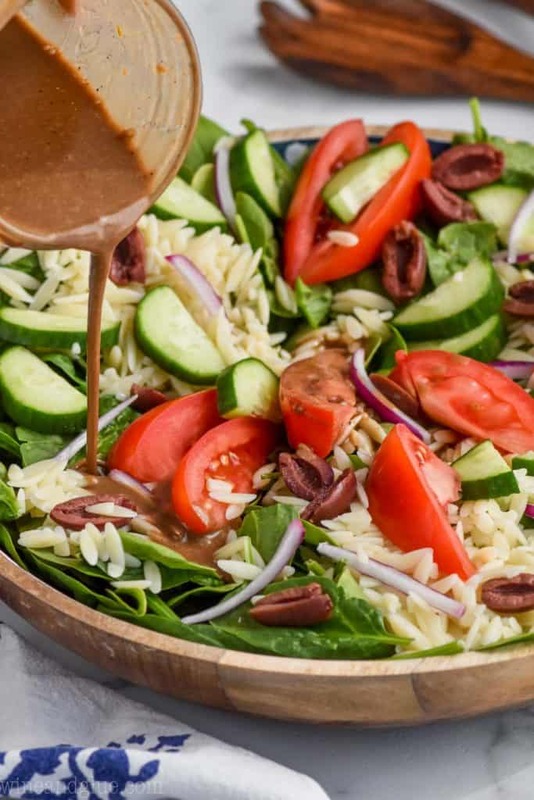 It works perfectly in this Creamy Balsamic Dressing recipe and is a great replacement for yogurt in so many recipes to make them dairy free. Homemade dressing is the best because you can totally customize the taste to what salad you are making. And it comes together fast! Grab some olive oil, I used Meijer’s True Goodness Organic. Get some good quality balsamic vinegar. Meijer has a great store brand that I love. You will need some Silk Almondmilk Yogurt Alternative. Add just a small bit of honey (agave nectar would work as well). Mince a little fresh garlic. Toss in some salt and pepper. So simple, right?? 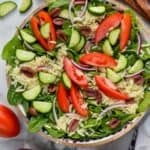 This dressing recipe makes just enough for this salad, but you could double the recipe so that you have more on hand if you are a salad fanatic like me. I found all my ingredients for this awesome salad at Meijer! I love shopping at Meijer because it is convenient, close to my house, the prices can’t be beat, they always have what I am looking for, and after I was done shopping, my kids got to go look at toys which made them happy campers. Plus! They run fantastic deals! 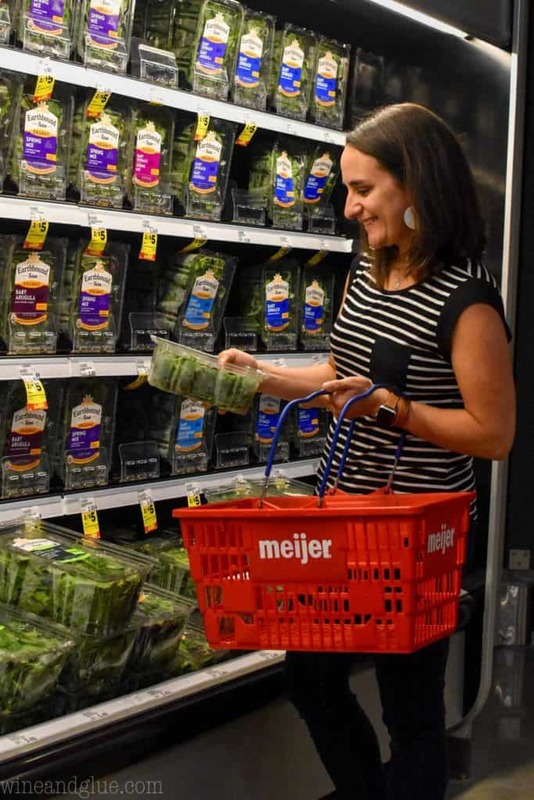 Right now Meijer is running a great deal on so many plant based products! Through July 15th, when you purchase 10 products from the participating brands (Silk, So Delicious, Earthbound, & Vega), you can save $3. Through August 11h, you can save over $17 using your M-Perks! 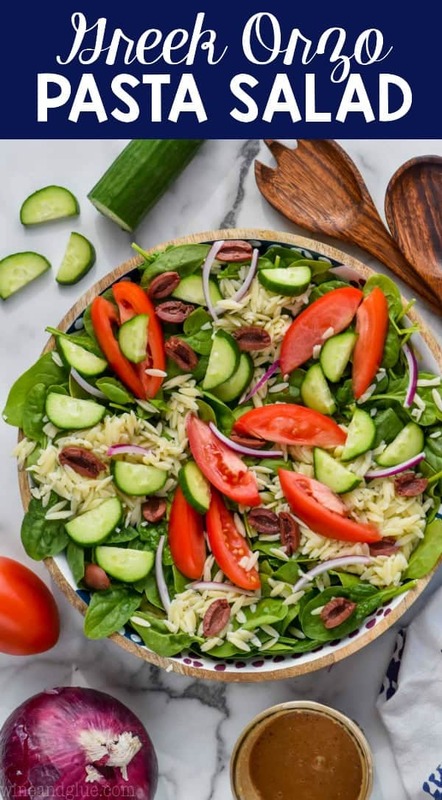 Whether you are vegetarian, vegan, or just looking to incorporate more plant based food into your diet, this salad is delicious and perfect! You can serve it to your meat loving friends, and they will have no idea that it is vegan. Looking for even more great plant based dishes to serve? I love these Veggie and Tofu Noodle Bowls! They will make a meat eater swoon! Bring a pot of water to boiling. Cook the orzo according to package instructions. Rinse with cold water after draining to stop it from cooking and cool it. While the orzo is cooking, dice the vegetables. You can leave them bigger as pictured, or dice them smaller to make them a little easier to eat with the orzo. Whisk together the ingredients in the dressing. In a large bowl toss together the spinach, orzo, vegetables, and olives. Toss with the salad dressing. Store in the refrigerator up to 24 hours or enjoy immediately!